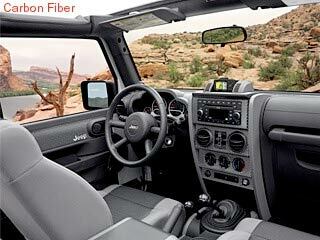 Improve the way your Jeep Wrangler interior looks with Mopar Wrangler accessories such as interior trim appliques. These easy-to-use Jeep trim appliques are a fast, easy way to upgrade the look of your instrument panel, as well as the door trim area on some vehicles. 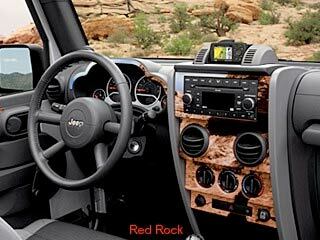 They're available in wood, brushed aluminum and carbon fiber finishes so you can completely customize your Jeep's interior. Please select correct part above from the list below for the 4-DR Wrangler. Please note: Glovebox handle trim may not fit some '08 glovebox handles due to lock deletion.